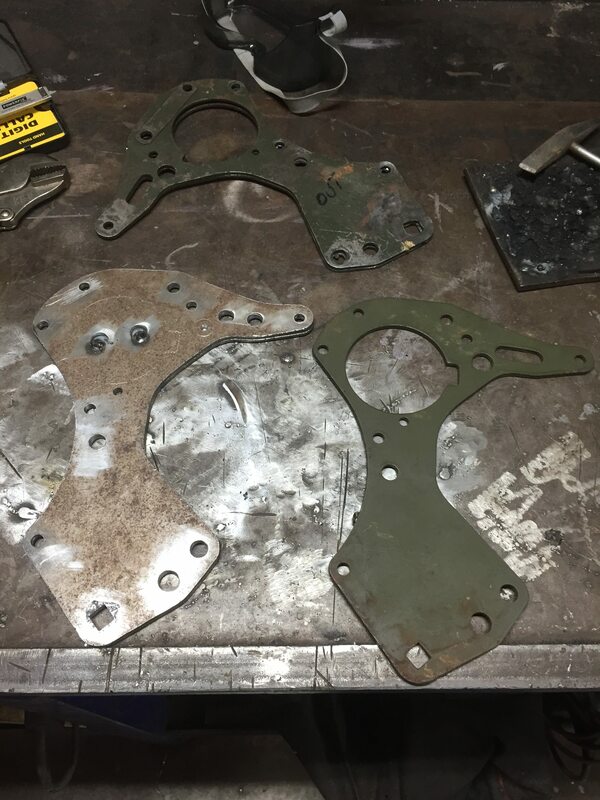 I'm in the process of making my own engine plates and also repairing the ones I have, I've used my originals for templates, but they have some elongated holes which I can just make out some of the centres but its a bit hit and miss. I'm after a NOS one or a reproduction one to buy if anyone has one ? I'm only going to use it as a template and get all the correct diameters of the holes etc. 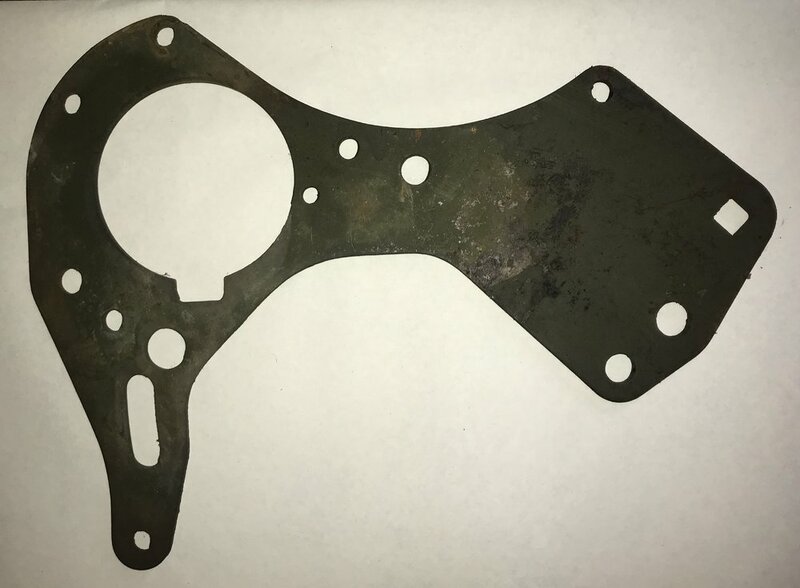 I've got 3mm steel plate but was going to use 3.5mm to beef it up, does anyone know if this would cause any major issues as my originals come in at 2.8mm but are like fag paper in parts where they have worn against the crankcase. I can't help with any spare engine plates but I imagine they would have been 1/8" originally?? However I wonder if you might experience problems with the mag platform if you make them too thick? Have you tried Steve Surbey at 'AMC Classics' for decent originals? 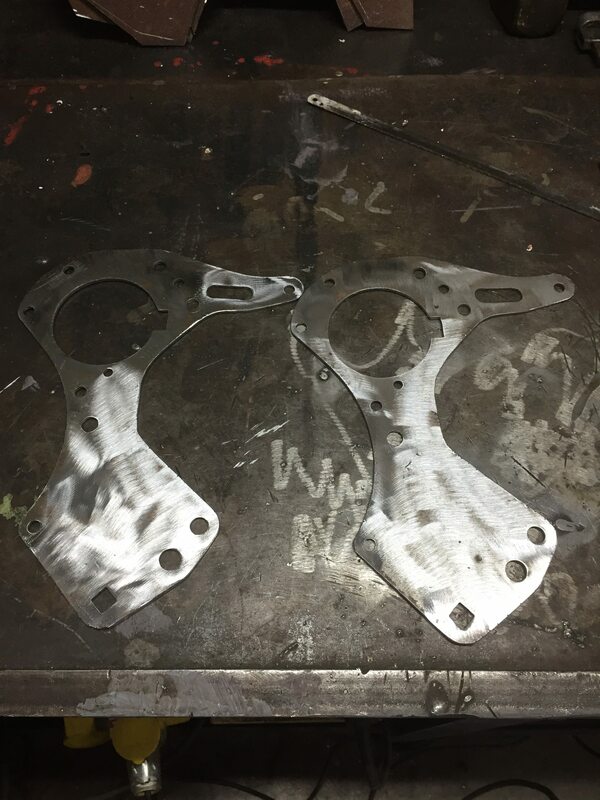 Have probably some NOS G3WO plates left, they are one side only, but easily modified, by cutting of the one elongated piece for the chain adjuster bolt. I'd have to check it, but the thinner G3L plates are reinforced there, so all magneto platforms are the same and will fit all type of plates, just as the spacers etc. Ron It was Steve who suggested I repair mine or make a set, as he believed they made the originals too light...... the plates I have, have the reinforce/spacer for the Mag platform so set that as the max thickness, will check again on that measurement. Have you seen these stainless steel ones? Those stainless ones are different, and for later bikes. KF-36-G3-E250-R is the p/n off mine. BigDuke, I can send you one, and you can do all the measuring you want, if you have them lasercut, then send me the DXF file and my original back, that will do for me. Thanks Lex, Sorry for delay..... internet on ship not so good and now in Corfu so it's hit and miss. Email on the way. At present only looking to make a perfect template, and use when required. I'm looking for someone to do a DXF file. Have two at work roughed out ready to mark out. Yes Duke, I've realized from other posts that although the G3L plates are thinner than G3's, the thickness was made up with strips where needed. I have both bikes in my collection but the stripdowns were so long ago that I've forgotten such details. I can have a DXF file done, will give him a plate, but will cost something. Will measure thickness later this weekend, have NOS G3L plates somewhere too, but where?? Just checking this post and I'd never hit the send button from some time back so, First of , a big thanks to Lex and Ron, Lex for lending me the G3 engine plate and Ron for being the middle man. The plates I,ve made come out well and there are another few on the way, just the reinforce/spacer to do but the leg work is all done. 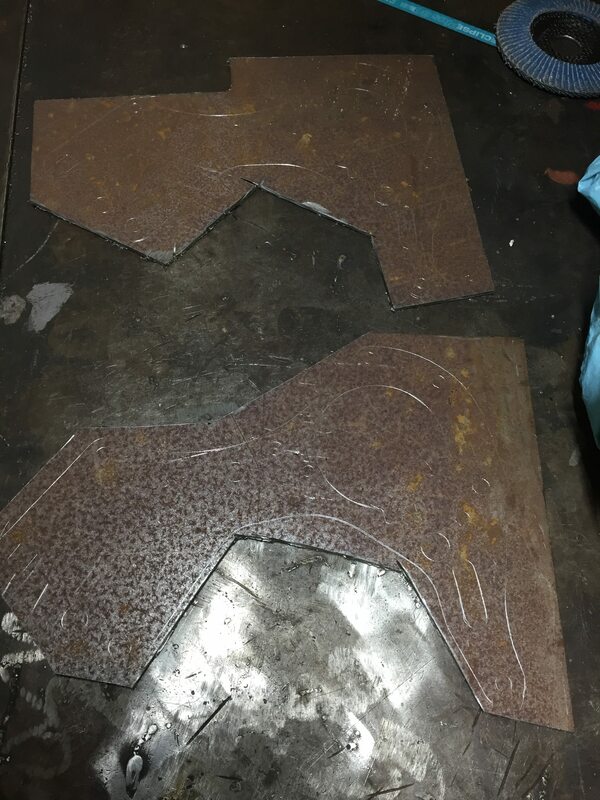 Pic below is the profiles roughed out, the top plate was drilled then tacked to the other so I could drill through and use the top as a guide. Cleaned up and ready for bead blasting.